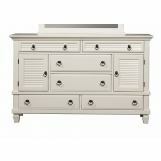 Curl up in comfort and classic style with the Alpine Furniture Winchester Shutter Panel Bed - White and its defined charm. 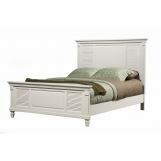 This panel bed comes in your choice of available size and has a soft white finish. 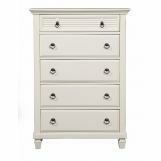 About Alpine Furniture, Alpine furniture knows that certain things never go out of style. 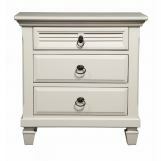 Their furniture products are designed and constructed with classic English and/or French dovetailing that provides a sturdy result and an unbeatable aesthetic. 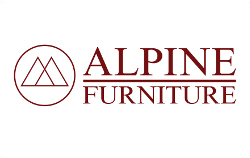 For over 20 years, Alpine has provided its customers with a variety of wood products from the bedroom, dining room, and living room. 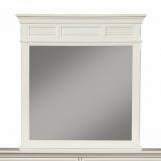 Each piece is design to meet the highest-quality standards of design, durability, and dependability. Customer satisfaction is of the utmost importance to Alpine, who have altered their designs over the years based on customer input in order to attain excellence in all areas. Size options available. Durable pine solids construction. Panel bed. White finish. Box spring required.